Faf du Plessis scored 36 in the quarter-final of the 2011 World Cup. He scored 36 again in the virtual quarter-final of the 2017 Champions Trophy. On both those occasions, he was involved in the run-out of AB de Villiers. On both occasions the run-out proved to be the moment the match went away from them. Du Plessis went on to run David Miller out as well, and South Africa contrived to lose eight wickets for 51 runs from 140 for 2 in the 29th over. 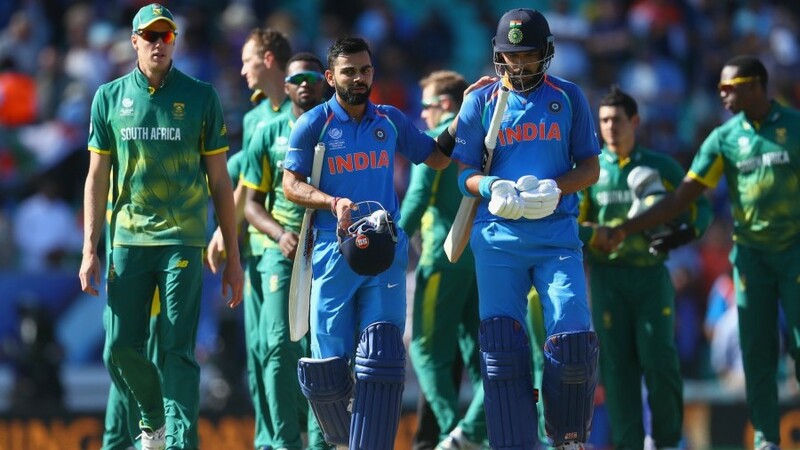 It will be all the more heartbreaking for South Africa that on a used pitch, slower than the ones The Oval has laid out, 275 might have turned out to be a pretty competitive total, but chasing 192, India could take their time when South Africa asked questions of them, and then Shikhar Dhawan and Virat Kohli sealed their semi-final spot in style.